According to a newly released FBI study, mass shootings are occurring more frequently in recent years—nearly one incident every month during 2000–2013. The study highlights 160 incidents, with 486 fatalities and 557 wounded, during this timespan. These shootings are called “active shooter incidents,” which are described as individuals actively engaged in killing or attempting to kill people in populated areas. • Incidents increasing from 6.4 annually from the first years of the study to 16.4. • Incidents resulted in 1,043 casualties (486 killed, 557 wounded) excluding the shooters. • All but 6 of the 160 incidents involved male shooters and only two had more than one shooter. • More than half of the incidents—90 shootings—ended on the shooter’s initiative (that is, suicide or fleeing). • Nine police officers were killed and 28 were wounded in 21 of the 45 incidents where they engaged the shooter to neutralize the threat. • The largest percentage of incidents took place in a commercial environment (73 incidents) followed by educational settings (39 incidents). 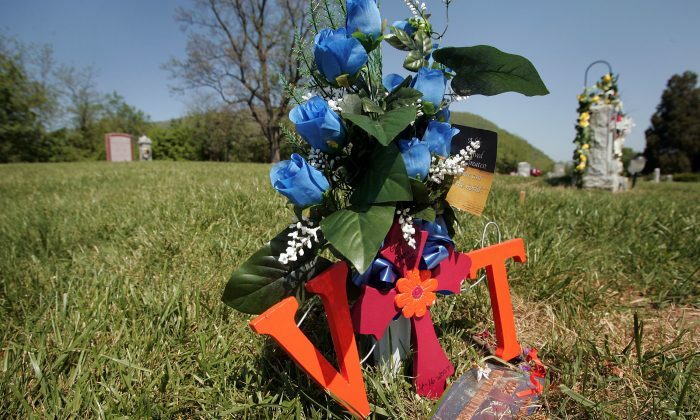 Since I served families of Virginia Tech victims as a spokesman, I would like to honor the April 16, 2007, victims with insights in hopes that additional incidents can be prevented. • Failure to respond to reported warning signs of a very troubled student that could have prevented the tragedy. • Lack of a threat assessment team at Virginia Tech. • No “heightened alert” during the anniversary week of the Columbine tragedy. • Insufficient security measures, crisis plans, protocols, and procedures. • Inadequate preparedness practice and drills. • The Virginia Tech police chief and leadership team were not immediately notified of the first killings—there were critical communication delays. • Failure to clearly notify the campus community that killings had taken place once Virginia Tech’s president was notified. • Failure to lockdown the campus with a killer at large after the first incident. This could have prevented numerous other killings and injuries. • Continual denials by Virginia Tech President Steger of his and the leadership team’s failures. • Immediate movement into a fundraising mode while ignoring the needs of victims and families. • Setting up a website to defend the Virginia Tech president within three days while the victim support website took four months. In my opinion, it is inconceivable that two students were killed on a college campus during the week of the anniversary date of Columbine, and that—with a killer at large—there was no immediate notification to the community, nor was there a lockdown. It is also inexcusable that proper decisions were not made to prevent the 30 killings and multiple injuries that occurred over two hours later. The Virginia Tech president and policy group failed to protect their community. The fact was that two students had been killed and the killer was at large. In an age of increased active shooter incidents—compounded by the possibility of a Mumbai-style terrorist incident—all of us in both law enforcement and private sectors must enhance vigilance to safeguard America and reawaken the nation.